Project management is not rocket science, yet it often gets dressed up that way. At its foundation lies a bedrock of basic organizational skills, which – come to think of it – might as well be rocket science the way some managers grapple with the concept. In reality, project management is just a set of tools – a roadmap if you will, that enables managers to guide a project from point A to point B and do so in a way that demonstrates efficiency, cost-savings and plain ‘ol ingenuity. That being said, the benefits of project management are ten-fold: the manager actually gets to manage (easier said than done at times, but allow me to wax poetic here) as they lead their team and institute a strategy that will see a specific project reach fruition. The client benefits because he/she is allowed to provide feedback, while relishing in the knowledge that their input really means something. And finally, the production team benefits because without the production team the project wouldn’t get started in the first place, much less finished. Additionally, the production team is able to take a stake in something, work with it and see a project through from start to finish. So right off the bat you have the Holy Trinity of Project Management: manager, client and worker collaborating for the common good. In fact, it’s this very application of knowledge, skills, tools and techniques that ultimately will meet or exceed a stakeholder’s needs and/or expectations on any given project. Now that we’ve laid out the ground-rules, it’s a lot easier to visualize what some of the benefits of project management are. I’ve put together my own top-ten list of the benefits of project management. Your personal mileage with these benefits may vary. 1. Better Efficiency in Delivering Services: Project management provides a “roadmap" that is easily followed and leads to project completion. Once you know where to avoid the bumps and potholes, it stands to reason that you’re going to be working smarter and not harder and longer. 2. Improved / Increased / Enhanced Customer Satisfaction: Whenever you get a project done on time and under budget, the client walks away happy. And a happy client is one you’ll see again. 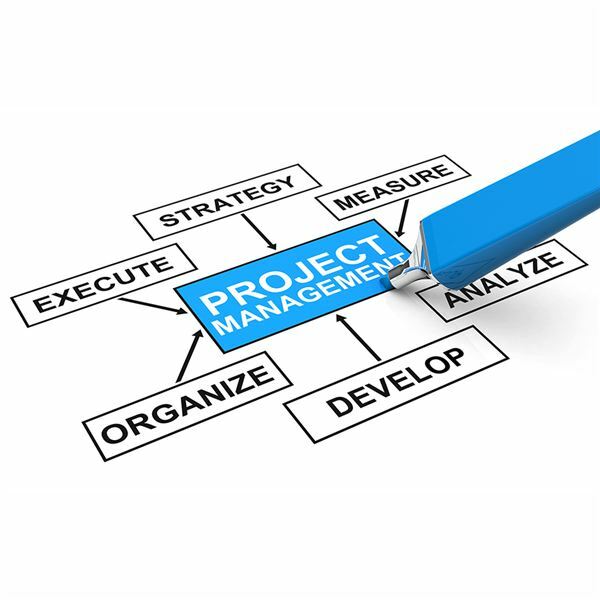 Smart project management provides the tools that enable this client/manager relationship to continue. 3. Enhanced Effectiveness in Delivering Services: The same strategies that allowed you to successfully complete one project will serve you many times over. 4. Improved Growth and Development Within your Team: Positive results not only command respect but more often than not inspire your team to continue to look for ways to perform more efficiently. 5. Greater Standing and Competitive Edge: This is not only a good benefit of project management within the workplace but outside of it as well; word travels fast and there is nothing like superior performance to secure your place in the marketplace. 6. Opportunities to Expand your Services: A by-product of greater standing. Great performance leads to more opportunities to succeed. 7. Better Flexibility: Perhaps one of the greatest benefits of project management is that it allows for flexibility. Sure project management allows you to map out the strategy you want to take see your project completed. But the beauty of such organization is that if you discover a smarter direction to take, you can take it. For many small-to-midsize companies, this alone is worth the price of admission. 8. Increased Risk Assessment: When all the players are lined up and your strategy is in place potential risks will jump out and slap you in the face. And that’s the way it should be. Project management provides a red flag at the right time: before you start working on project completion. 9. Increase in Quality: Goes hand-in-hand with enhanced effectiveness. 10. Increase in Quantity: I saved the best for last. An increase in quantity is often the result of better efficiency, a simple reminder regarding the benefits of project management. By implementing fundamental project management strategies, you will narrow your focus, reach desired goals and achieve those goals within specific time and cost perimeters. The final result is that everyone comes out a winner – which just may be project management’s best benefit of all.